Still talking about “we” during an interview? Some job candidates don’t think it’s a big deal to say “we” during an interview, when what the interviewers want to know is what the candidates have accomplished. Hiring authorities are sensitive to the constant use of “we.” If you’ve been saying “we” instead of “I,” you need to knock it off. Employers want to know what you’ve accomplished, what value you’ll bring to the organization, what roles you played in your teams’ efforts. They could care less about what your past teammates accomplished. You are in consideration for the job, not your former teammates. Not to rain on your parade, but where are your teammates now? Who’s on your team in the job search? 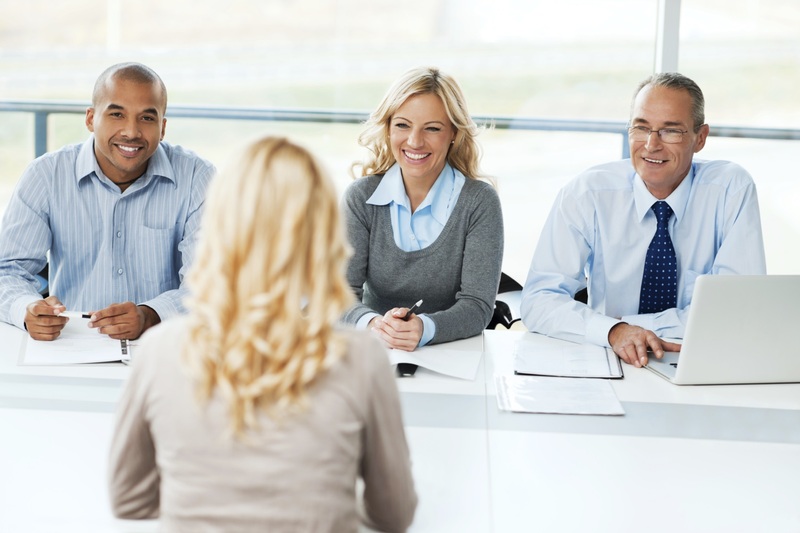 Job candidates should answer questions by using a story format whenever possible. Given the following question: “Tell us about a time when your manager opposed one of you ideas, but you were able to persuade him/her t to adopt it.” In this case use the C.A.R formula. Challenge: I approached the vice president of marketing to suggest we implement social media marketing, as there was none at the credit union at that time. He was reluctant to start a social media marketing campaign, especially since this was a small credit union. Actions: Instead of arguing with him about my idea, I decided to persuade him by showing him the benefits. I took a number of actions. The first of which was to find as many credit unions and banks as possible on LinkedIn, Facebook, and Twitter. I was somewhat amazed by the number credit unions represented on each platform. Once I had a sampling of ten institutions, I next began studying how many connections, followers, and friends each one had. I determined that 8 of the 10 credit unions had a good presence on all three platforms, so I developed a spreadsheet that would show the analytic data of each company. I felt the best way to really figure out how prominent a role social media played for each company would be to enlist help from my assistant. I asked him to call the companies to ask them if they new the ROI from their social media campaigns. With a great deal of hard work, he was able to determine that six credit unions benefited greatly from all three platforms and came up with some great figures. With his information, I was ready to approach the VP of marketing and make my case. At first my VP seemed agitated that I continued to press him on this matter, but I stood my ground. I showed him the research on a detailed PowerPoint presentation my assistant and I created, letting him look at it for half the day. Result: By the time I approached him to finish the conversation, he asked me how I would have the time to head up this new social media marketing campaign. If you’d like to hear about how I instituted a very successful social media marketing campaign, I’d be happy to tell you the story. In my Interview Boot Camp workshops, and when I conduct mock interviews, I occasionally hear the absence of “I” in my participants’ answers, and I call them on it. What’s more, so do the other participants who are there to critique each others’ answers. When they hear “we” instead of “I,” they realize how important it is to take credit for their work. You have permission to take credit for your work. This entry was posted in Career Search on January 29, 2015 by Things Career Related.